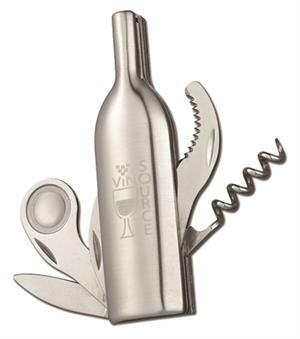 Clever stainless steel bottle-shaped tool serves five unique functions: corkscrew, bottle opener, knife blade, serrated blade and magnifying glass for label reading. This is a high quality tool and will be a valued gift that will be used for years. Your logo can be printed or laser engraved. Individually packed in white gift box. Price includes imprint in one location. 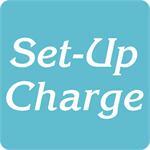 For logos: Add a set-up charge of $50.00 on new orders; $25.00 on re-orders. Click here to email your logo. Select ... Please print my logo in one color. Please laser engrave my logo.